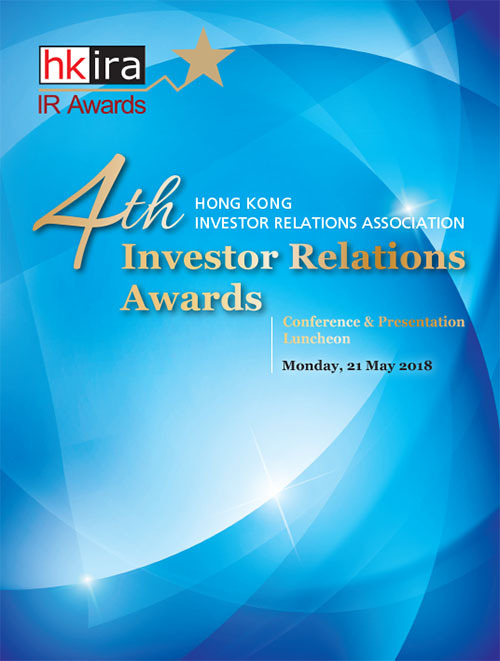 We are proud to congratulate all the award winners of the HKIRA 4th Investor Relations Awards, which honor their IR excellence and best practice. Congratulations are also extended to all the nominees in recognition of their efforts made in pursing IR best practice. 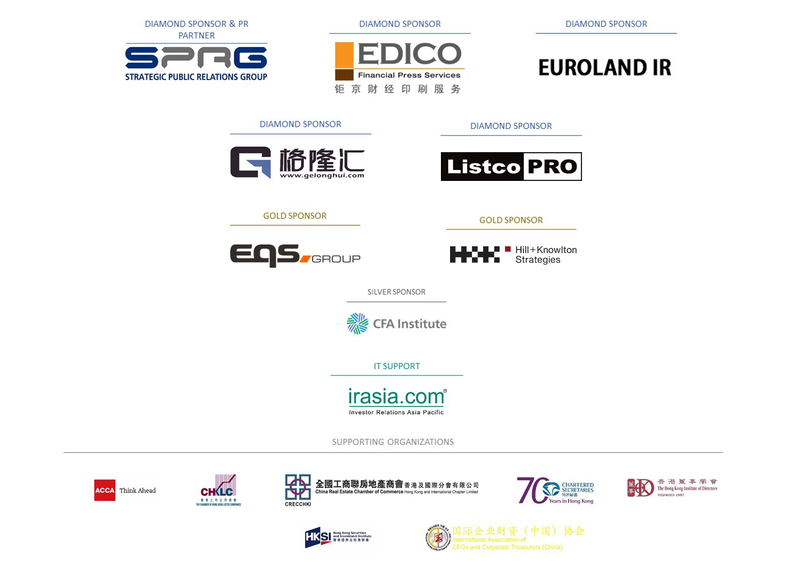 0322 Tingyi (Cayman Islands) Holding Corp.
0517 COSCO SHIPPING International (Hong Kong) Co., Ltd.
1099 Sinopharm Group Co. Ltd.
1169 Haier Electronics Group Co., Ltd.
1551 Guangzhou Rural Commercial Bank Co., Ltd.
1579 Yihai International Holding Ltd.
2099 China Gold International Resources Corp. Ltd.
2196 Shanghai Fosun Pharmaceutical (Group) Co., Ltd.
2318 Ping An Insurance (Group) Company of China, Ltd.